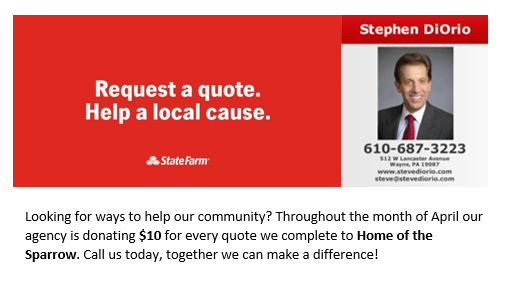 This month for every person who completes an auto, home, renters, life or health quote, we will make a $10 donation to Home of the Sparrow. For the quote to qualify, the individual can be a new customer or a current State Farm customer that has policies with our agency. When calling in/stopping by for a quote, be sure to mention Quotes for Good and Home of the Sparrow to qualify. Thank you for supporting Quotes for Good. Together we can make a difference in our community!